The concepts, procedures, data, and analysis techniques needed to design and integrate machine elements into mechanical devices and systems. For over three decades students and practicing engineers have usedMachine Elements in Mechanical Designto learn about the principles and practices of mechanical design. They have either continued to use the text in their careers, or have newly discovered it as an invaluable resource in their work.With an emphasis on applying the technology of various machine elements while considering those elements in the context of the larger machine, this text references a broad array of available resources, from industrial sources to professional organizations. It promotes practical decision making in design and provides excellent preparation for moving from an academic environment to a professional position with strong, long-term growth potential. Continuing the book’s emphasis on proven approaches and the use of readily available materials, and its focus on practical, safe, and efficient design, this edition includes new content and adjustments contributed by the two new coauthors and features stronger technical content in stress analysis, a wider set of technical topics, and beautiful enhancements to the visual attractiveness of the book throughout numerous new full-color graphic illustrations. 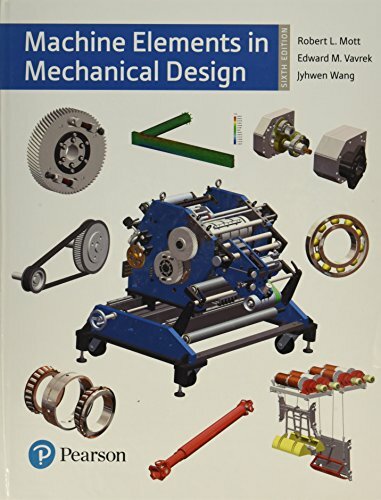 Appreciated for its readability, while recognized for its technical strength and comprehensive coverage of the material,Machine Elements in Mechanical Designis the ideal guide to the skills and knowledge needed for success in this field.